The Ford Raptor FE is the last car I need other than the one in today's update. Any tips on when that is coming out? The search on this site is so lame I can't find a thread on the topic. Raptor release date had not been announced. Any tips on when that is coming out? Let me ask you a passing question. How did you get a 1997 Honda Civic Type R Forza Edition? 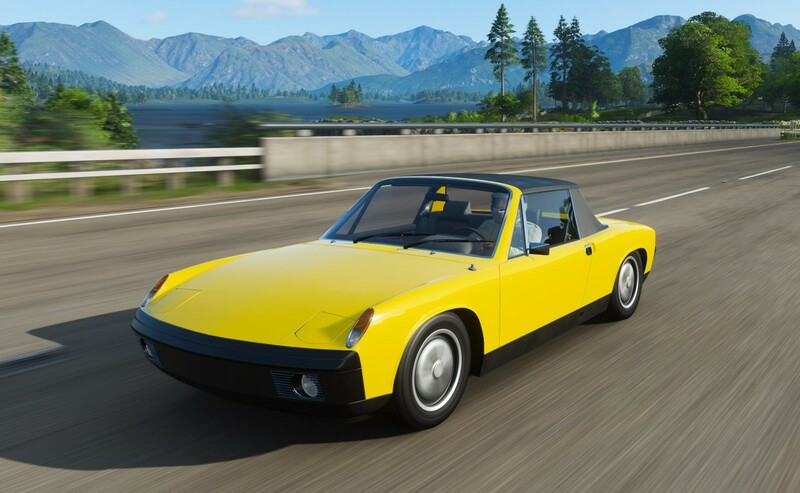 As far as I know, it's Driver level milestone reward, but as I said earlier, my level is 730 and I still don't have any chance to get this car. The 1987 Pontiac FE is the participants reward in the november spotlight rivals challenge. I wish I could answer that. I honestly don't remember. I know I have one. It was either a random level up reward or a Rivals prize for beating someone's time. I'll check the threads here to see if I can find it being mentioned and what the circumstances were in order to aquire one. I take it they aren't in the auction house? If that's the case I probably have 2. If I do and you need one I'll let you know and I'll figure out a way to get it to you. If I do and you need one I'll let you know and I'll figure out a way to get it to you. Thanks a lot, bro, but you don't have to worry about that anymore, because I just bought this Honda FE at auction house. Thank you again for not being indifferent. It was. I had two of them. IIRC this car was a reward for the 2018 Civic Type-R Rivals event, but it also came up as one of the driver level milestone picks. I deleted one and kept the other. I also have two: The first one from milestone-rewards and the 2nd one from May Spotlight Challenge-Rivals Event. I'm pretty sure it was not a prize in one of the june ForzaRC streams, because my excel list says there was only a 2016 Honda Civic Type R Forza Edition as a prize. With the May update you'd have the 1997 Civic FE as the next level up prize, like what happened last month with all those FE cars. Last month I had the Diablo pop up randomly in the rotation in-between the FE cars, too. The more unique cars you already have, the higher the chance that you get it. Because you get only repeats as level up offer, if you have all cars...at least for me it was that way. It was definitly added in the october update, there is no question about that. With the december update another two new cars were added ! Both "locked". The M3 is the participants reward for the december spotlight challenge with the M8 GTE. 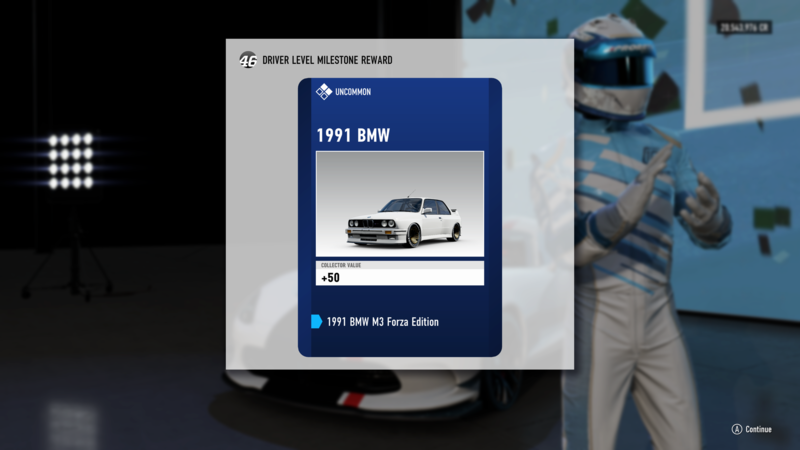 The BMW M3 FE is also available via 'level up rewards'. Oh sure. Just as I was about to have every car in the game. 87 Pontiac TA FE popped up today. Got the 91 M3 FE in my next level up. Now I'm just waiting for the TVR. I completed the spotlight challenge and got the gift message in my in-game inbox, but when I went to collect it, it just didn't show up in my garage!!! The message is gone since I "claimed" it. Now I don't know what to do! Anyone else having this problem?